Are you moving to Atlanta, Georgia? Let us help you plan your relocation and discover everything Atlanta has to offer. Crown are an international relocations company, specialising in international removals, storage, overseas moving, movers insurance and relocation services for individuals and families who are moving to the USA. Atlanta, capital state of Georgia is an important commercial, financial, and transportation centre of the south-eastern United States. It’s the most populous city with an estimated 5.8 million people. Renowned for its music, southern hospitality and sports team (Atlanta Braves, Atlanta Falcons & Atlanta Hawks to name a few) there is something for everyone. The city (nicknamed The Dogwood City, The Big A, Hotlanta, The ATL, and more) was founded in 1937. Atlanta can trace its roots back to 1836, and with two important developments in the late 1830s: the forcible removal of Native Americans (principally Creeks and Cherokees) from north-west Georgia and the extension of the railway (known in the US as railroad) lines into the state’s interior. Shortly afterwards, the discovery of gold in the region brought a new wave of settlers to the region. The American Civil War saw Atlanta side with the Confederacy and the city became a strategically important city for the Southern cause. After the end of the Civil War, Atlanta was quickly rebuilt, and it was the railways which helped, allowing the city’s merchants to transport their goods and help with Atlanta’s economic development. Fast forward a century, Atlanta sprang to international prominence with the African Americans Civil Rights Movement and Dr. Martin Luther King, Jr. playing major roles by protesting against white supremacy, by 1965, sweeping federal civil rights legislation prohibited segregation and discrimination, and this new phase of race relations was first officially welcomed into Georgia by Governor Jimmy Carter, who later went on to become President of the United States, in 1971. In recent years, Atlanta has undergone a change from a city of regional commerce to one of international influence, and it has been among the fastest growing cities in the developed world for much of the 1990s and 2000s. Between 2000 and 2006, the metropolitan area grew by 20.5 per-cent, making it the fastest growing metropolitan area in the USA. The Atlanta metropolitan area is the tenth-largest economy in the USA and ranks in the top 20 largest in the world. The city is the regional, national, or international headquarters for many companies, including as The Coca-Cola Company, CNN, The Home Depot, Delta Air Lines and UPS. It also contains the USA’s third largest concentration of Fortune 500 companies, and in 1996, Atlanta held the Centennial 1996 Summer Olympics. Modern-day Atlanta is known as a centre where fine dining, shopping and the city’s history combine to create a city with Southern charm and world-class sophistication. New Zealanders need an Immigrant Visa to be able to live in the USA, and details of how to obtain one can be found at the United States Diplomatic Mission to New Zealand’s website. The official currency of the United States of America is the US Dollar, and shops and service providers will only accept the US Dollar. Coins come in denominations of 1, 5, 10, 25 and 50 cent, and notes in $1, 2, $5, $10, $20, $50 and $100 bills. When it comes to converting your money into US Dollars, there are a number of options available. It’s not recommended to take cash or travellers’ cheques with you, as banks charge a much higher conversion rate when dealing with cash. It’s recommended to use on-line currency transferral companies when converting large sums of money, as they provide much more competitive exchange rates than banks, and the NZ Forex site is a good place to start. Many migrants have found it helpful to set up a US bank account before arriving in the country. This makes it easy for converted money to be transferred straight to your account, as well as minimising the need to carry cash while travelling. There are many banks in Atlanta who offer an on-line sign-up service. Atlanta has an excellent public transport system, incorporating buses and Metro trains, details of all these options can found at Metropolitan Atlanta Rapid Transit Authority’s (MARTA) website. If you do choose to drive in Atlanta, the first point to bear in mind is that in the US, they drive on the opposite side of the road to that in New Zealand. For those planning to live in Atlanta, then a car will be useful, but when it comes to commuting, the public transport system is again recommended, as whilst there is resident’s parking available in most suburbs, it is limited. You can drive in the US on a NZ driver’s licence, but only for a short period, and the US Embassy in New Zealand recommends that you apply for an International Driver Permit, and if staying in the US, you should apply for a US driving licence. Atlanta’s international airport, Hartsfield-Jackson Atlanta International Airport, has flights not just to cities across the US, but across the world. 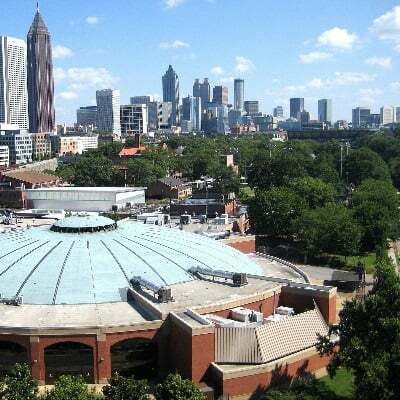 There are over thirty colleges and universities in the city, and Atlanta is recognised as a centre for higher education, and in terms of the local schooling system, there are both private and public education services available for children in America. Most expatriates choose to enrol their children in private or independent schools, this is because state schools are generally based on ‘catchment areas’. The school year begins in September and ends in June, typical school-days run Monday-Friday from 8.30am to 3pm, although this can depend upon the age of the children. Students generally travel to school by car with their parents, or in some cases, take the school bus (the bright yellow ones you see in the movies), others will cycle or walk. Crown can arrange an appointment with a Specialist Education consultant who can provide an in-depth explanation of local education systems, the curricula available and arranging interviews, as well as assist with enrolment requirements. Please contact Crown for more information and rates. When choosing where to live in Atlanta, the deciding factor for expats is normally how close you need to be to your work or your children’s school. The cost of accommodation and commuting to work are also significant considerations. Rather than purchasing a home, most expatriates choose to rent, at least at first. This is because house (and apartment) prices in Atlanta are expensive. Looking for a home in Atlanta can quite often be a daunting task, and Crown can advise on rental accommodation or purchasing properties, and can also arrange for temporary accommodation. Atlanta’s position as an internationally-recognised centre of commerce means that you are bound to meet people from all walks of life. Expatriates commonly assimilate into the community through the sports and hobbies they are interested in. The business environment that Atlanta is famous for provides numerous opportunities to meet new people. Social media is also a great way to get to know like-minded people. Crown Relocations has 50 years of international moving experience relocating individuals and families to Atlanta and throughout the USA, contact us today for more information about our services. For more information read our blog: Why you should choose Crown for your move to the United States. To convert your money to US dollars the cheapest and most reliable way, check out our guide for Moving Your Money. IMPORTANT NOTE: Crown Relocations has made every effort to present accurate information. However, regulations, rates and other variables are subject to change and Crown Relocations cannot accept responsibility for the errors that might result. Should you have any questions or need additional information, please contact your local Crown representative.